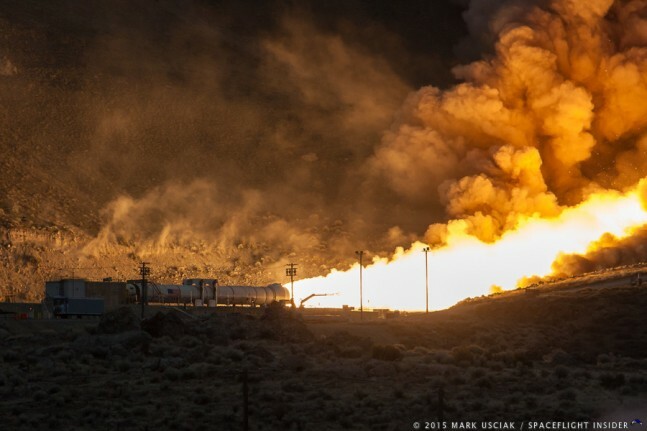 Upon review of the results from the Qualification Motor 1 (QM-1) test conducted in Promontory, Utah, on March 11, 2015, Orbital ATK, the manufacturer that had conducted the test of the five segment solid rocket booster, has stated that the booster worked as advertised. Two of these massive SRBs will be used on the first flights of NASA’s new super heavy-lift launch vehicle – the Space Launch System or “SLS”. NASA currently plans to conduct the first flight of SLS as early as November of 2018. Dubbed Exploration Mission 1, or “EM 1”, this will mark the first time that the enormous rocket takes to the skies and the second time that one of the space agency’s crew-rated Orion spacecraft has carried out a mission (the first being Exploration Flight Test 1 in December of 2014), albeit without any astronauts on board. 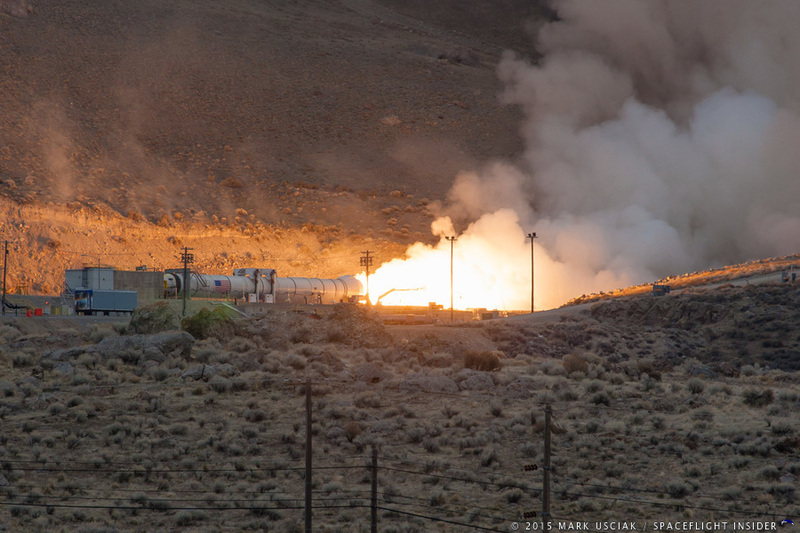 There were some 102 design objectives that the static fire test carried out via QM-1. To accomplish this, Orbital ATK utilized more than 530 instrumentation channels. QM-1 was conducted in part to test out the five segment booster design, a piece of heritage hardware from the shuttle era, at high temperature (90 °F/32.2 °C mean bulk temperature). By all appearances, the test was a complete success with the booster’s insulation performing as expected and ballistics performance parameters falling into allowable requirements. Of special note for this mission was the booster’s avionics which, according to Orbital ATK, provided the required command and control of the motor nozzle position. It is not commonly known, but the shuttle’s direction was actually guided by the two SRBs that powered the shuttle stack to orbit. As noted, these boosters can trace their lineage back to the four-segment SRBs that were used during the 30-year Space Shuttle program. The most notable change to the four segment design was the addition of the fifth segment, which was added to provide the design with greater power. This is a prerequisite to sending the massive 70 metric ton rocket and its precious cargo aloft. Orbital ATK has also opted to use a more environmentally-friendly design for its motor insulation, a new flight termination system, as well as modern processing techniques. QM-1 gets its name from the fact that it is the first test under the SLS qualification phase of testing. It was not, however, the first test that Orbital ATK and NASA have done with this design. During the demonstration phase, the company and NASA carried out the DM-1, DM-2, and DM-3 tests. Similarly, these tests checked out the design at various temperatures. If everything continues to go as structured, the booster will complete the qualification phase with the firing of QM-2, currently scheduled to take place in spring of 2016. As with the August 2010 DM-2 test firing, this test will check out the booster at lower temperatures (40 °F; 4.4 °C). 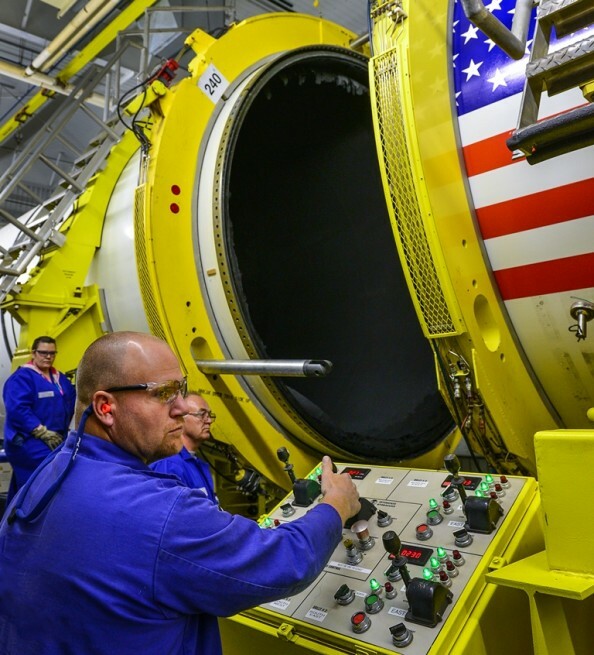 With the successful completion of this test, NASA, Orbital ATK, Boeing, Lockheed Martin, and an array of other contractors will work to get NASA’s SLS booster and the second Orion spacecraft – NASA’s next generation crew-rated spacecraft – ready for the EM-1 flight. 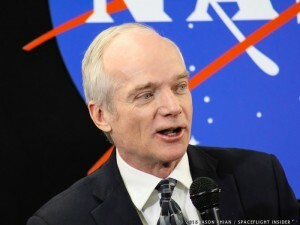 If that first mission goes according to plan, NASA has been directed to use SLS to send crews to a boulder collected from an asteroid and towed into lunar orbit, as well as to the planet Mars sometime in the 2030s. Awesome power. Hopefully the follow-on to the SLS will use 4 of them instead of two. That would make for a over 15 million pound thrust launch vehicle. Despite being starved for funding it is slowly happening; the Moon rocket looks like it is going to fly! Bandyetagin, my wife and I were at QM-1. It was awesome in person as it is in photos!